TeamworkPM – Best Online Project Management Application | Site of the Day | All Free Web Resources for Designer - Web Design Hot! Projects require lots of planning, organization, communication, and coordination between members. As a Project Manager you need to manage people, tasks and money wisely if you’re to succeed. You need to know real-time every day, whether you’re on track. Online project management software is designed to help you keep your business more organized, know the latest happenings of your project and have a better communication with your clients. So with this, you will start looking more professional and your work will reflect that. By incorporating a project management software you can get things done (GTD) with better quality and this in turn helps keeping your clients coming back for more. 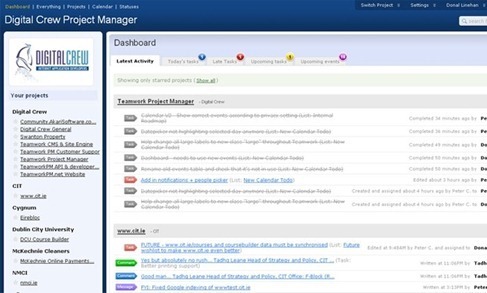 Teamwork Project Manager is an online application that helps you get organized and take control of your current projects, task lists, milestones, files, notebooks, resources and time. 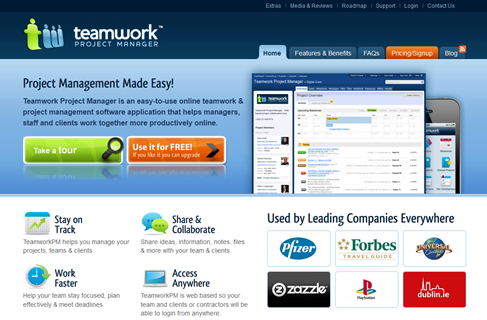 Teamwork Project Manager is aimed at any person, company or group of people who have multiple projects on the go. The application is perfect for any type of organization, group, and team or individual. With Teamwork, you can assign tasks to staff, co-workers and contractors in seconds. Each task can have a due date or can be linked to a milestone allowing everybody to see exactly what they have to do and when they have to have it done by. TeamworkPM allows you to take a bird’s eye view of all your projects and visualize your overall schedule. This is a great benefit for teams that manage multiple projects at a time – the project manager can quickly see which projects are on-track or behind schedule and act accordingly. The all new Android app for TeamworkPM allows you to access your projects on the road at any time, from any Android smartphone. 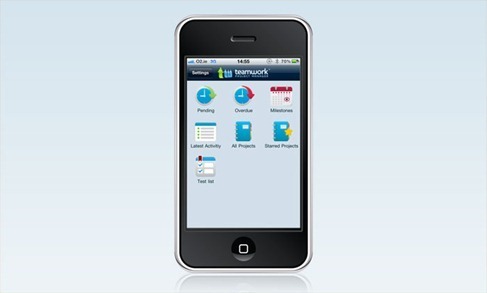 You can now access your TeamworkPM account when you’re out of the office from your iPhone and Android. 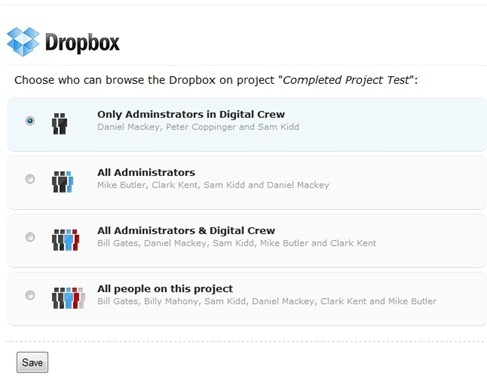 You are able to link a Dropbox account with Teamwork now. You would need to share a folder from the linked account with the other Dropbox accounts. This way you can have one master account for authentication and as many other Dropbox as you like. Dropbox available on business 2 and higher plans. Teamwork answers all support queries within 24 hours. 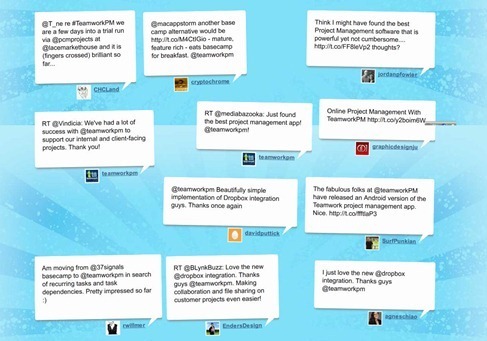 it can be seen that Teamwork has satisfactory public praise from buzz of twitter and facebook. The recurring tasks feature has just been rolled out on all TeamworkPM plans. It’s been a top feature request for a long time so we hope you are going to really enjoy it. Whether you want to arrange weekly backups or make sure annual invoices are not missed, TeamworkPM will now keep you on-track. We feel that almost every business can benefit from this feature. These are just many features and benefits of a small part from Teamwork, there is more to your experience at your own. I want to say is, Teamwork will not let you down. I have been so impressed with Teamwork. that I just had to take some time and let everyone know about this fantastic company! The best online project management services are flexible and can manage projects in all industries – construction, engineering, accounting, technology, development, training and more. No doubt, Teamwork do all this. This entry was posted on Wednesday, October 12th, 2011 at 10:05 pm and is filed under Site of the Day . You can follow any responses to this entry through the RSS 2.0 feed. You can leave a response, or trackback from your own site.